I love DIY boxes! So fun sitting down with a cup of tea and doing a fun project at home on the couch! This is the HomemadeLuxe box. 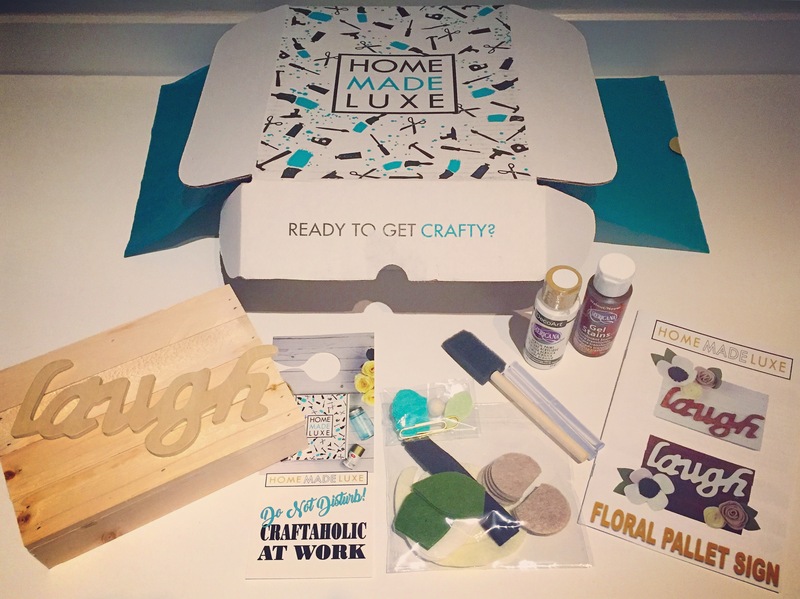 Each month they will send you everything you need to make that months Pinterest style project! I know that I have tons of pins on my board of projects I’d love to try, but the hard part is actually going out and getting all the pieces! I love this subscription and how they send you all the bits and pieces to get your project underway. This is last months project the floral pallet sign. You have 2 options which I like that they give you the option! Either dark board with light writing or the opposite, depending on what you prefer! You can also use your own colours to create something completely different! Only thing you require before starting this project is a glue gun, which you can also buy in their online store! The instructions are easy to follow as well which is helpful.